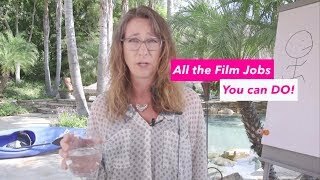 All the Film Jobs You can Do! Love acting? Love filming? Editing? Special effects make-up? You might have an idea of what you want to do… but there are also a ton of jobs you’ve never considered! Great money, exciting life, and use skills you already have!